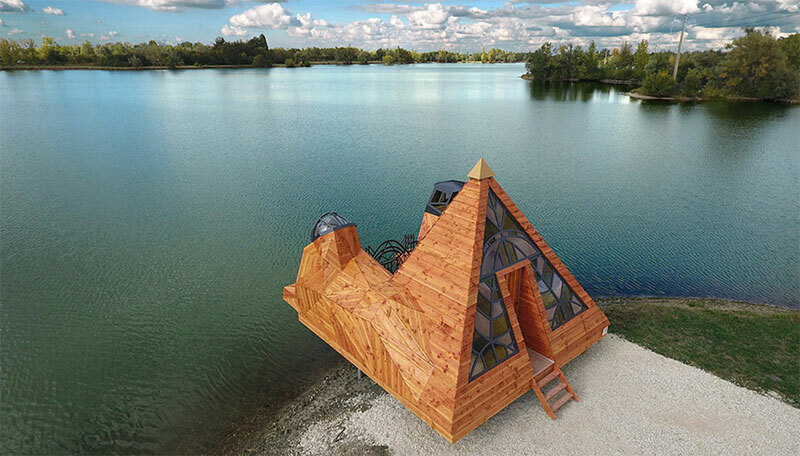 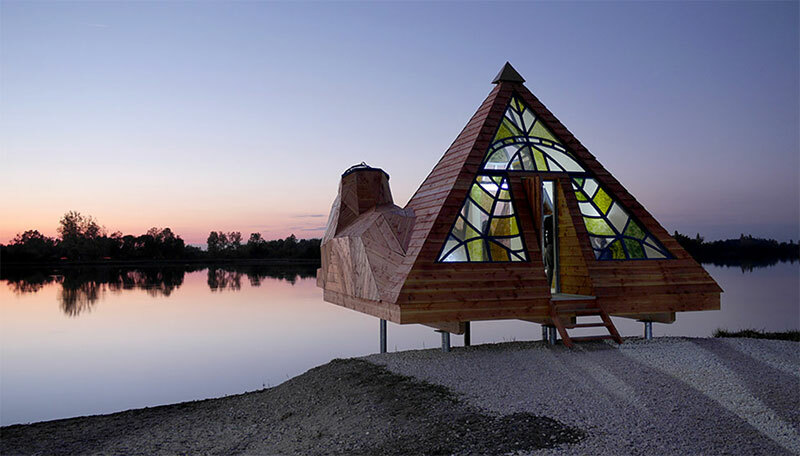 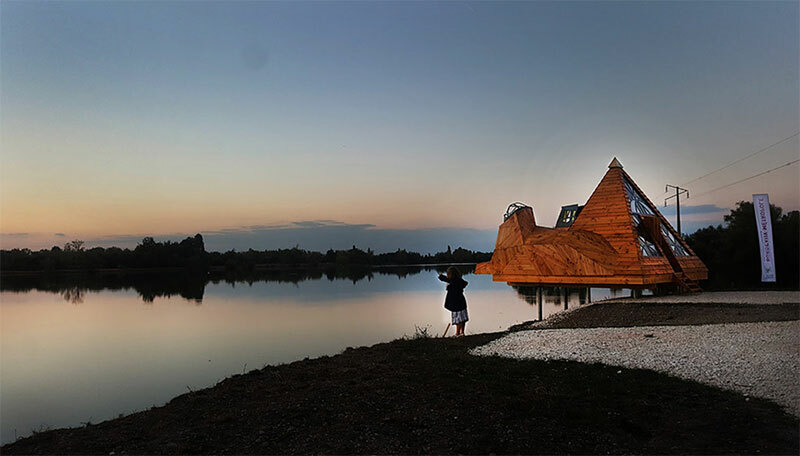 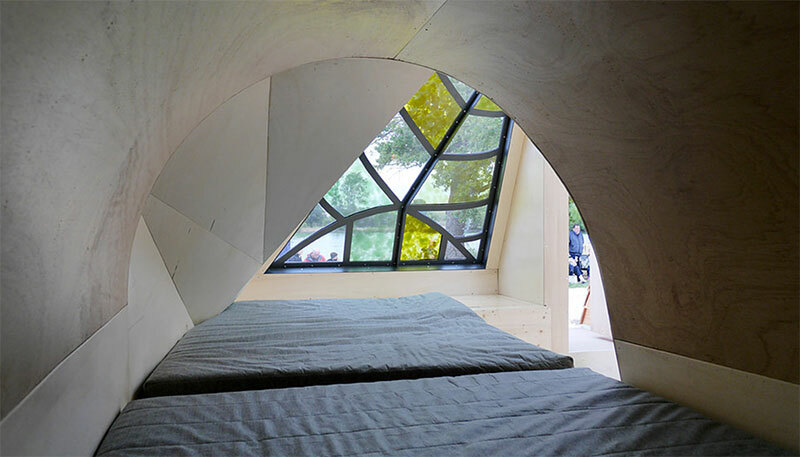 Located at the edge of lake La Blanche in an urban area of Bordeaux, France, this cabin in the shape of a pyramid was designed by visual artist Lou Andréa Lassalle and built by Zebra3 as part of the Refuges Périurbains (Peri-urban shelters) in the region. 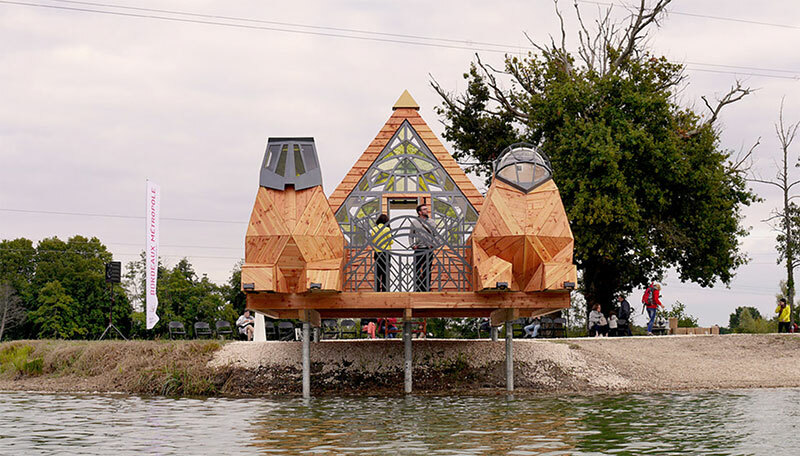 The design evokes the peculiar landscape of the lake where natural fog lingers and high-voltage towers are seen in the distance. 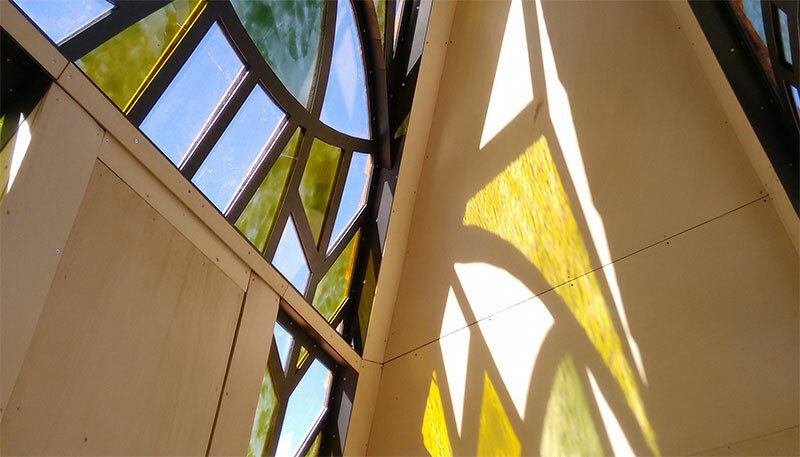 The building features stained-glass windows at the entrance, a small deck area, and lookout towers in the shape of the Great Sphinx. 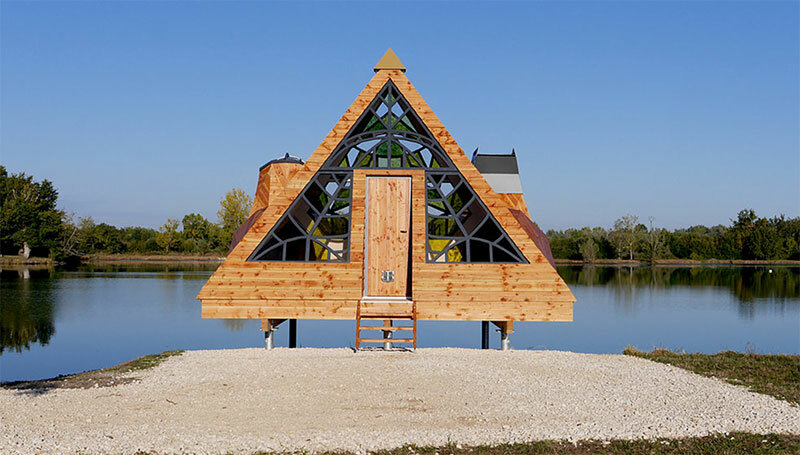 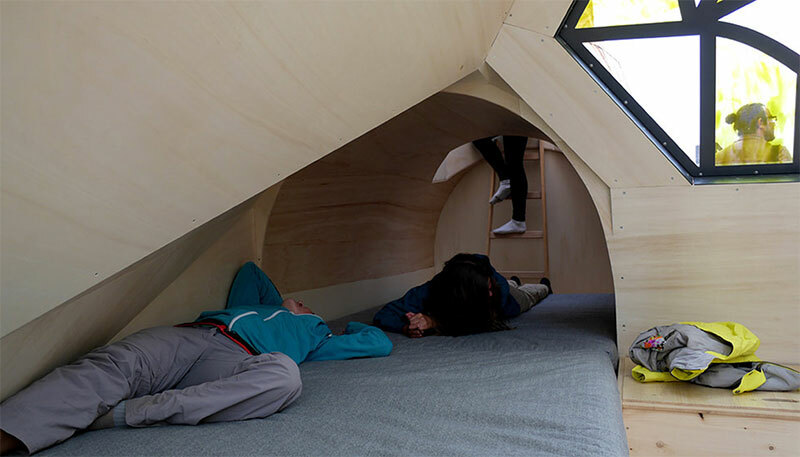 Like all of the shelters in the Refuges Périurbains project, the cabin can host up to eight people and helps encourage locals and visitors to reconnect with Bourdeaux’s landscape and environment. 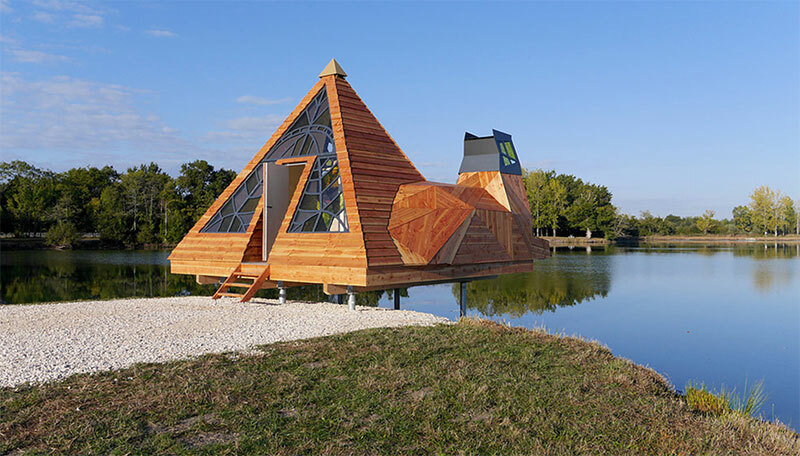 Reservations for one night are free and can be made at the Refuges Périurbains website. 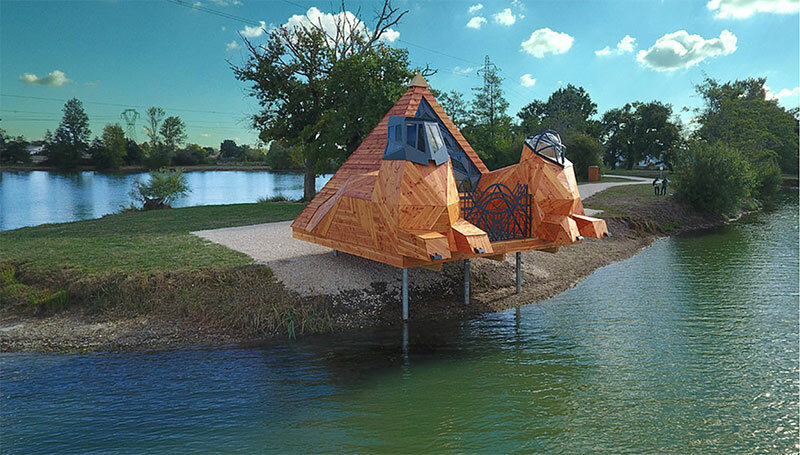 Located at the edge of lake La Blanche in an urban area of Bordeaux, France, this cabin in the shape of a pyramid was designed by visual artist Lou Andréa Lassalle and built by Zebra3 as part of the Refuges Périurbains (Peri-urban shelters) in the region.